The work continues at a fast and furious pace on Project ASS2000, presented by Turn14 Distribution, and since its finally back on the ground and ready for the race track, it was time to install some proper high performance gauges so we can try our best not to overcook the surprisingly healthy F20C under the hood. 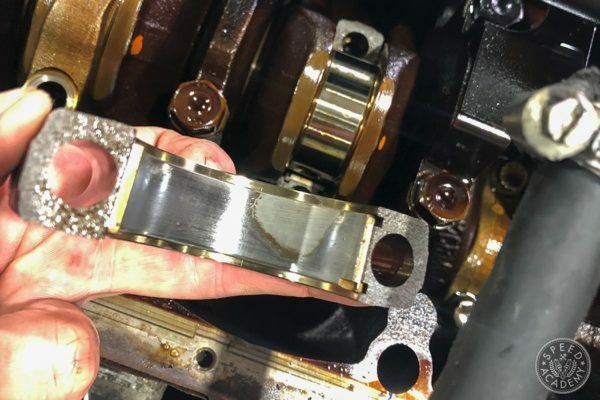 As you’ll recall, our junkyard engine made an impressive 215-whp on OnPoint Dyno’s Dynapack hub dyno, so we really want to treat this engine right and keep a close eye on all its vital signs. 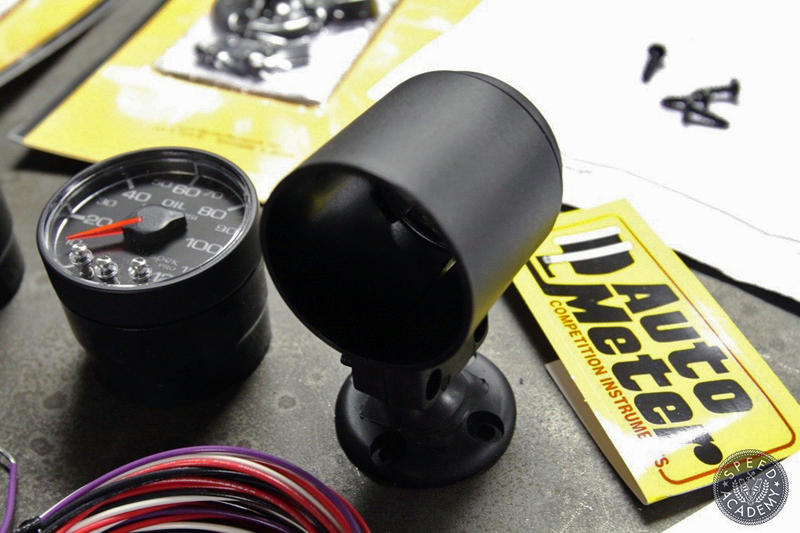 For this we turned to Auto Meter and their Spek-Pro lineup of motorsports grade gauges. 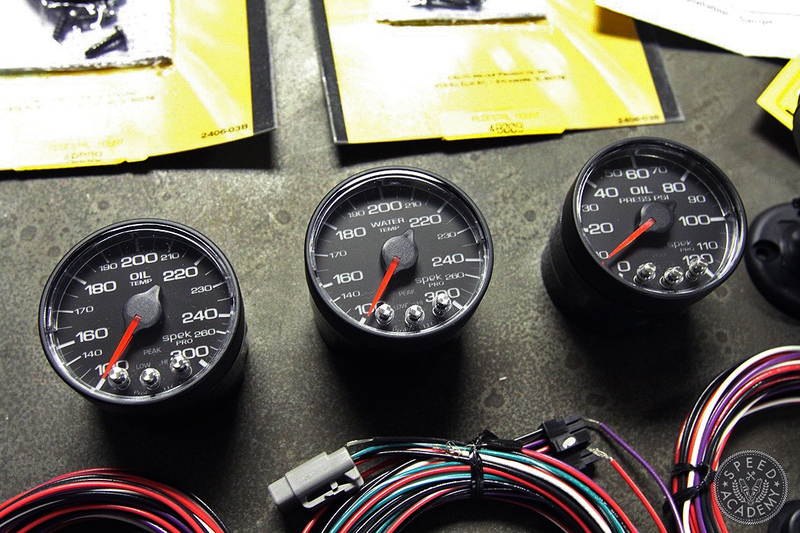 In fact, Spek-Pro gauges were originally developed for NASCAR and other top level motorsports, making them the most advanced instruments in Auto Meter’s lineup. With configurable warning points as well as peak recall, these gauges are perfect for us since we need idiot lights and peak recall data to ensure we don’t hurt the F20C with our own stupidity. 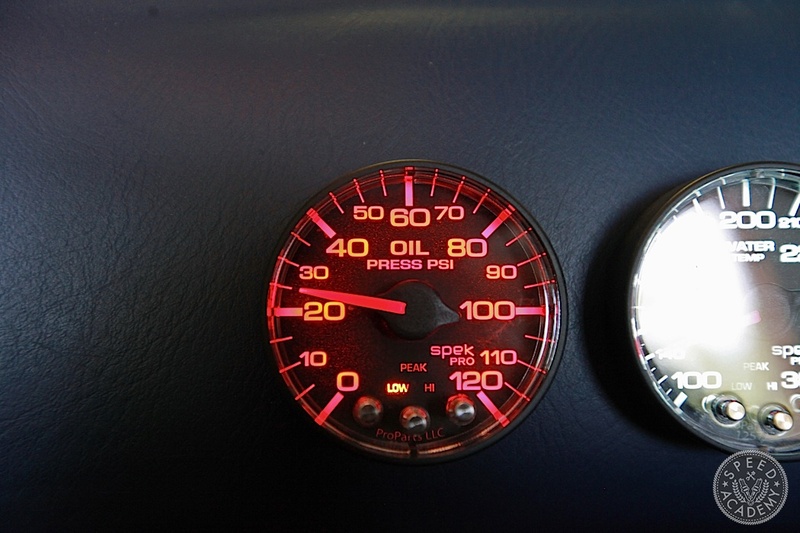 And lets be honest, it’s not easy to watch gauges while ripping hot laps, especially in a car as involving as the S2000, so warning lights and peak recall features just make sense for drivers like us who can’t seem to multitask well enough to go fast and check gauges at the same time. 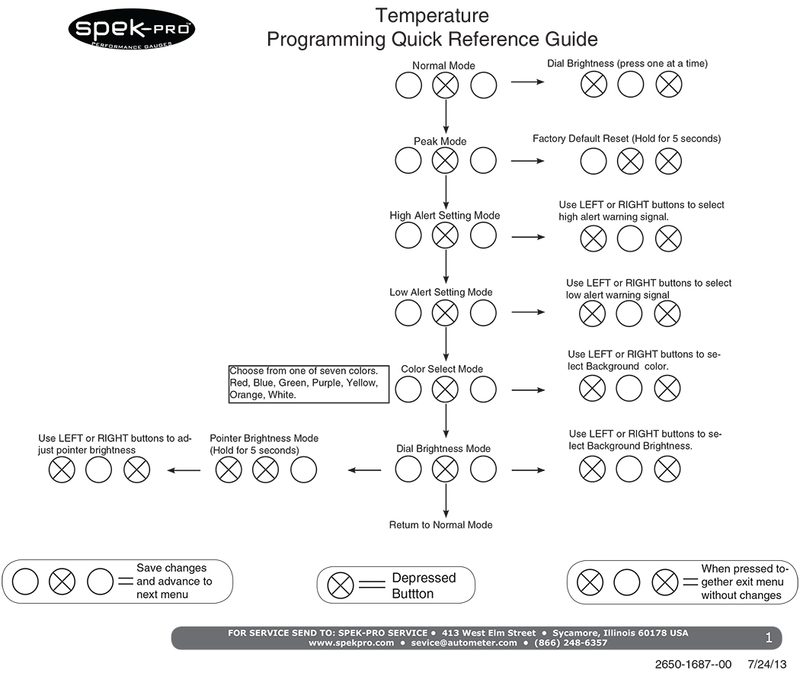 The factory gauge cluster does have a basic water temp gauge and oil pressure warning light, but like most OE gauges they’re very slow to react to sudden changes in temp or pressure, whereas the digital stepper motor design and motorsport grade sending units used by Spek-Pro provide incredibly fast readout response and superior accuracy. 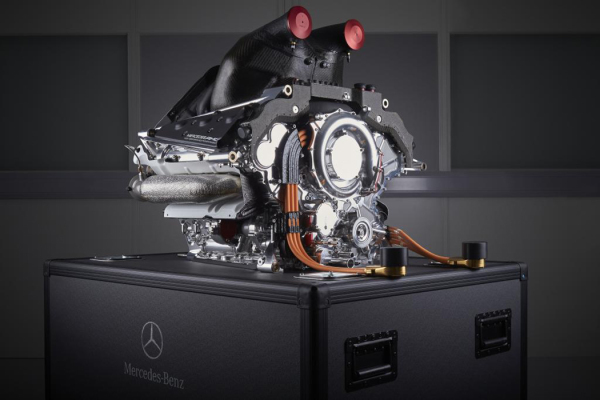 A proper set of highly responsive gauges like these are really the only way to keep track of your engine’s health in real-time, and the warning lights mean we’ll get a flashing red gauge any time temp or pressure falls outside the warning level we set for each. Do it for your engine, kids! 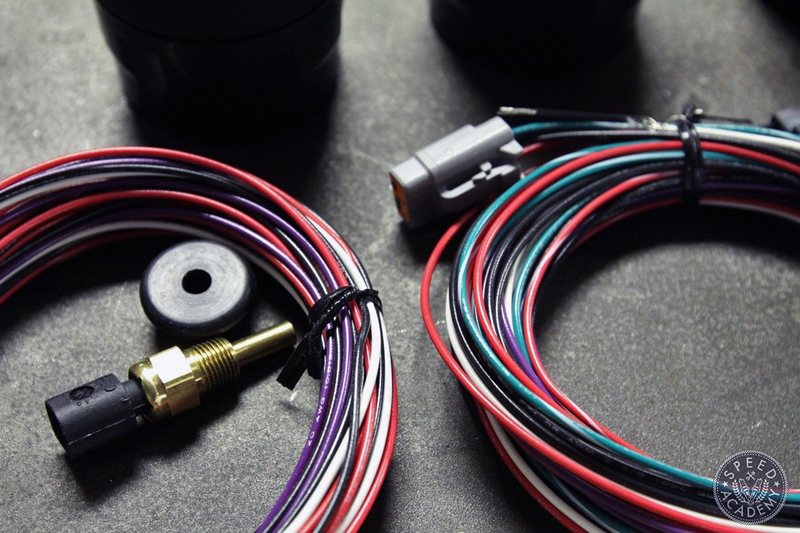 We should also mention that Spek-Pro gauges come complete with OE style connectors for the wiring harness and sending units, along with comprehensive installation instructions and a user manual that shows you how to set dial brightness, high and low warning levels, and gauge display colour (choose from red, blue, green, purple, yellow, orange and white). 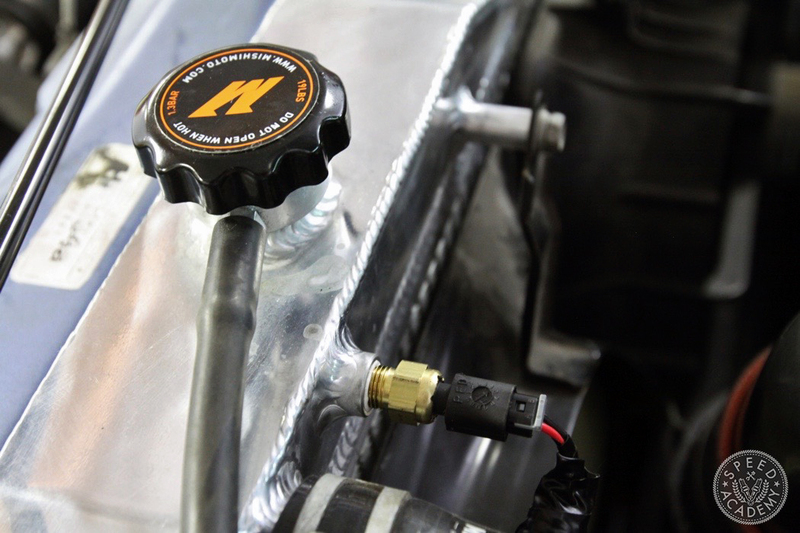 We installed the oil temp and oil pressure sending units in the Mishimoto oil cooler sandwich adapter when we prepped the engine to go back in the car, and since the Mishimoto radiator has a threaded location designed to accept a water temp sending unit, we had all three sending units in place and ready for business in no-time flat. 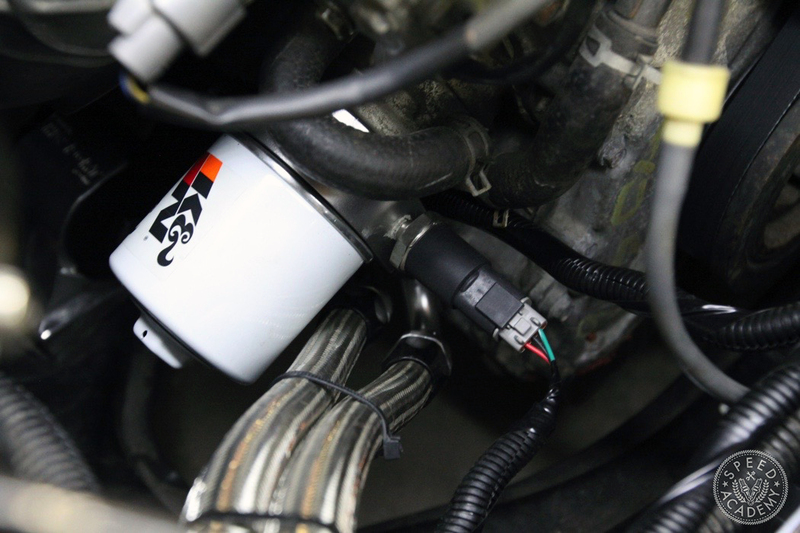 So once we ran the supplied wiring harnesses through the big rubber firewall grommet that the main engine harness wiring loom goes through (we poked an extra hole in it for the Spek-Pro wiring), we ran each connector to its respective sending unit and plugged them in. 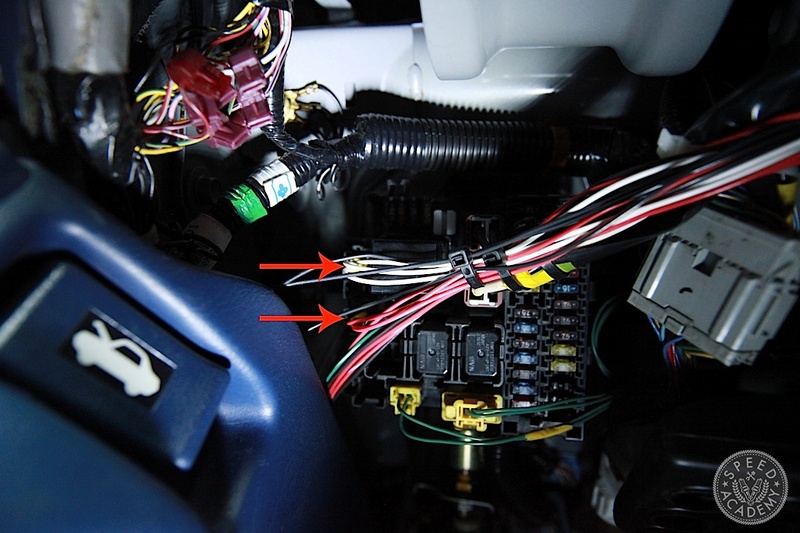 After that we just had to run the other end of the Spek-Pro wiring harnesses to their respective gauges and plug them in, while sending power to them via the vacant terminals very conveniently located on the fuse box under the driver’s side dash. This made the whole wiring job exceeding simple, though we did have to extend two of the Spek-Pro harnesses since our chosen gauge location was far enough away from the sending units that the harnesses weren’t quite long enough. No biggie, just splice in a few extra feet of wire and done. 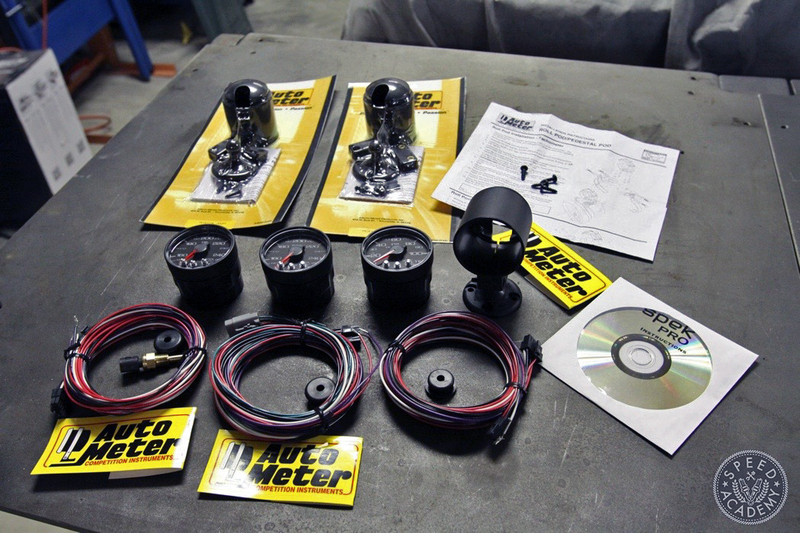 Speaking of our chosen gauge location, Auto Meter was kind enough to send us some gauge pods, and normally we would have gladly put them to use. But when we tested them out on the dash, Pete and I both felt they were a bit too front and center in our field of view, and once we put racing seats in the car with a lower seating position the gauges would loom even larger if mounted on top of the dash in the pods. So instead we decided to drill three giant holes in the dash. 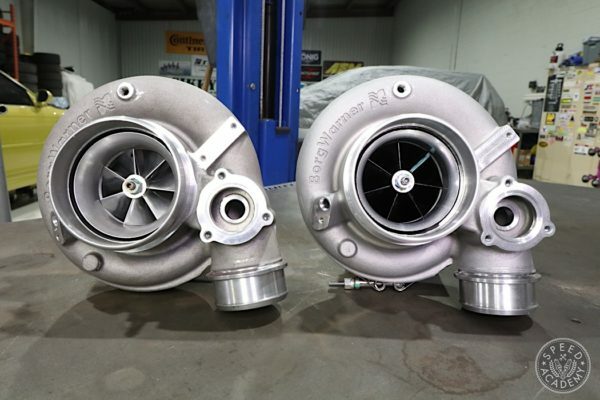 Not for the feint of heart, that’s for sure, which is exactly why gauge pods are going to make more sense for most people. 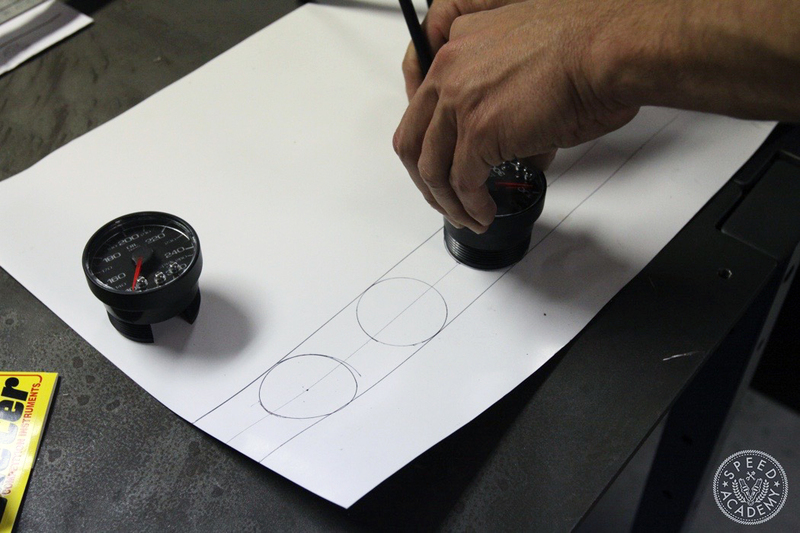 They are a far less destructive way to mount gauges, but if you’re crazy enough to bust out the hole saw like we did, you’ll probably want to start with a CAD tool, meaning a Cardboard Aided Design template that lets you lay out the gauges in a nice, evenly spaced manner. After that it’s just a matter of making the first hole, at which point there’s really no turning back, so the next two holes are way less stressful. 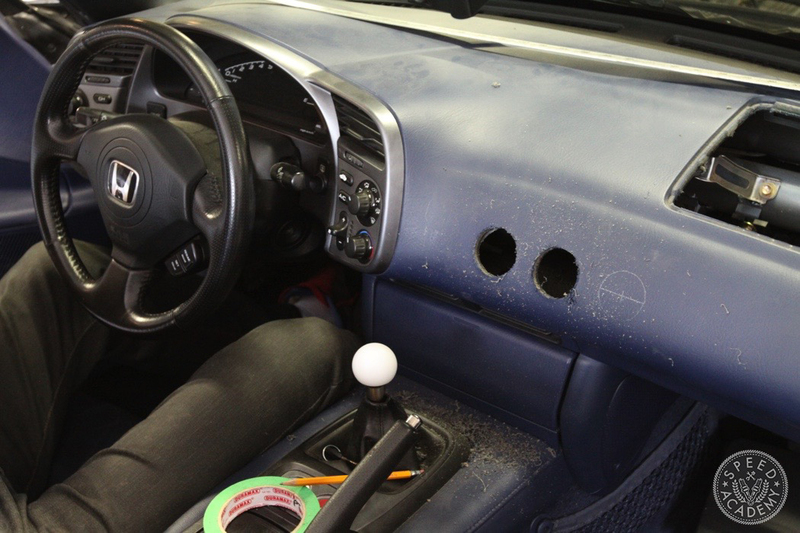 But before drilling we took the passenger side airbag out to make sure there was nothing behind the dash in the area we would be drilling in, since the last thing you want to do is drill through something important. Like factory wiring or a support bracket or something like that. And on the upside, drilling holes in the dash did give Peter a great excuse to flex his guns for the ladies. With the holes cut, a quick test fit showed the gauges fit perfectly, but to be honest they look a bit weird out in the middle of the dash all by themselves. They’re kind of just floating there in space, so we’ll probably slap some +5-hp stickers on the dash to give them some company. 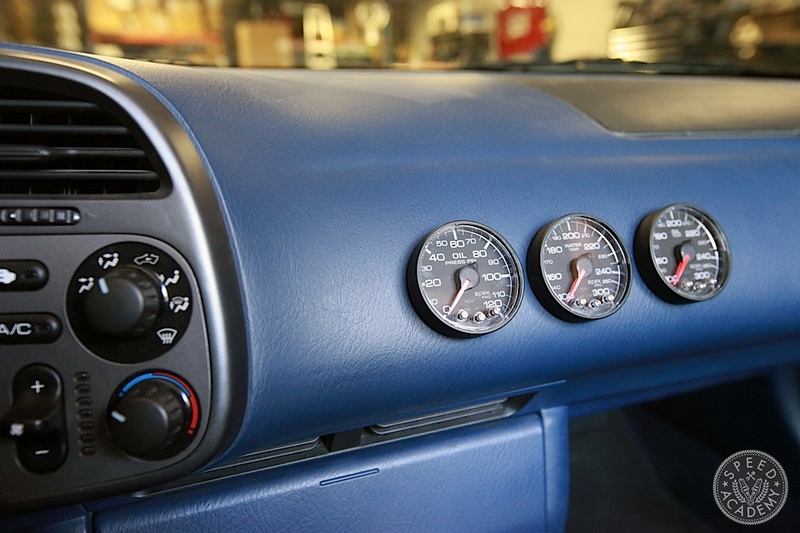 Once we ran the wires and plugged them, the install was complete, and I must say the Spek-Pro gauges are a super clean design and are extremely easy to use once you’ve read the instructions, plus they do give the interior a bit more of a race car look. 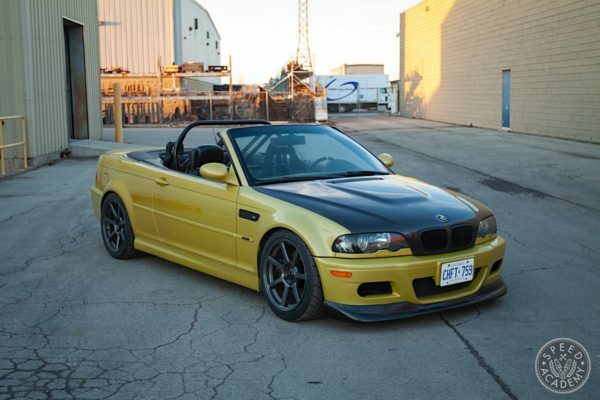 Once we install a roll bar, some racing seats and harnesses, the gauges aren’t going to look so lonely, I’m sure. 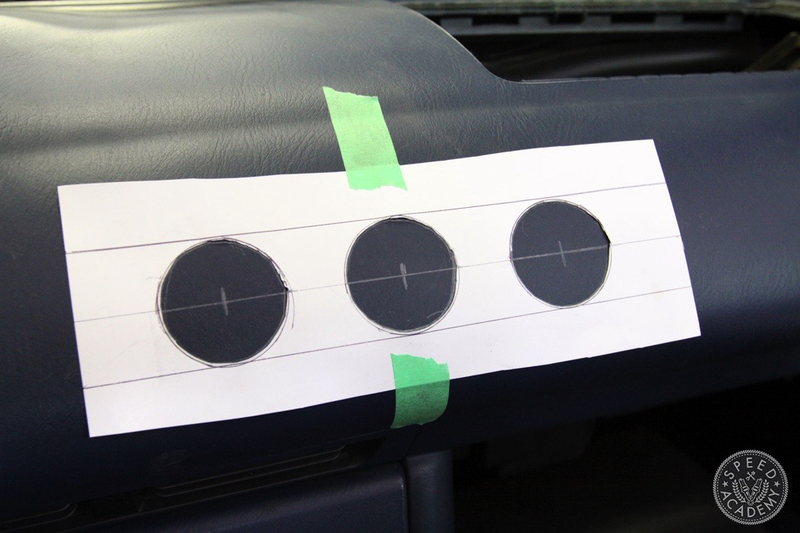 To hear Peter stress about drilling that first hole in the dash, here’s Episode 11 of our ASS2000 build. 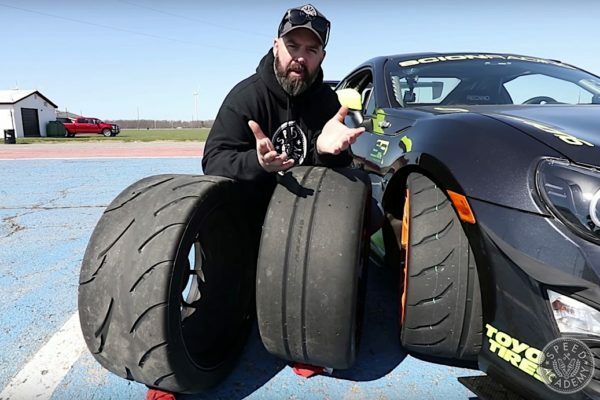 In the next episode, we finally hit the track to see if all that work over the winter paid off. Wow, AutoMeter has really come a long way!